For fans of landmark high-end cameras, the 1994 OM-3Ti is an all-time classic, and now collectors can acquire a contemporary homage to this titanium-clad SLR icon: a limited-edition version of its most recent OM-D descendant, the TIPA award-winning OM-D E-M5 Mark II*. The beautifully redesigned E-M5 Mark II will be available in a distinctively retro, titanium-tinted body that evokes the golden age of the original Olympus OM series, a period that laid the foundations for the flagship Olympus Micro Four Thirds cameras of today. In addition to the titanium colour, the Limited Edition differs from the regular model with a special OM-D-branded leather strap, an owner’s card bearing a quote from the legendary OM designer, Yoshihisa Maitani, and a premium-stitched leather case for the card. A number between one and 7,000 will appear on the other side of the card, as only 7,000 of these cameras are due to be made. The OM-D E-M5 Mark II Limited Edition will be available from June 2015 as the body only, or in a kit with the all-round zoom M.ZUIKO DIGITAL ED 14-150mm 1:4.0-5.6 II lens. The body will retail for £999.99. The lens kit will cost £1349.99. Although some 20 years have passed since the launch of the OM-3Ti, the OM-D E-M5 Mark II Limited Edition has much in common with its illustrious forebear, and not just visually. Both offer serious photographers a more portable, high-grade alternative to bulkier SLRs. The 1980s and 90s cemented the OM series’ reputation for compact, lightweight, go-anywhere system cameras as well as innovations such as the air damper that muffled the shock of mirror movement or the multi-spot metering mechanism beloved of professional owners of the OM-4. The E-M5 Mark II continues that tradition with its minimal dimensions, rugged build, and the world’s most powerful** 5-axis Image Stabilization system. This – as the TIPA award jury pointed out – makes it ideal for high-speed, spontaneous photography on the move (“a breakthrough technology that handles virtually every shooting situation.”). Beginning with the launch of the OM-1 in 1973, Yoshihisa Maitani’s breakthrough series married form with professional-grade function, and the OM-3Ti was the beautiful – and practical – culmination of this design philosophy. Its titanium plates were not just lighter than aluminium, they were also more resistant to corrosion and heat, and fully six times more robust. Visually, they ensured the OM-3Ti stood out from every other camera available at that time. The OM-D E-M5 Mark II Limited Edition pays homage to this heritage with a striking new colour and a number of unmistakable OM design cues. In addition to the familiar, angular OM contours, prism mount and low centre of gravity, the new camera woos collectors with its distinctive titanium-style finish as well as the exquisitely knurled dials and shutter release. From the perspective of its owner, the controls ooze state-of-the-art optical precision. If you’re a veteran of the Micro Four Thirds world and looking for a small DSLR-style camera body, the Olympus E-M5 Mark II is a wonderful option. It serves up excellent quality images—some of the best that you’ll find from this format of sensor. The problem with the Olympus crop is it is cropped all the time IBIS on or off any mode. When I've locked my camera down on a tripod and no longer need stabilization I don't want to continue being penalized for a feature I am not even using. I also think that the additional software stabilization mode is responsible for much of that crop and that they made a bad decision to go with it when it is readily available in post. Of course it was not the only reason I returned mine though it was a significant factor. yes a larger sensor for some overlap would be a benefit, but it would get optically less perfect at the edges if taken to extremes. Perhaps in the interim they need that ultra wide online asap. @Scot I agree with you. Olympus is really close to becoming a perfect video system with their stabilized system. Once they able to master the video codec, then they good to go. About the crop factor, I think if they able put a slightly bigger sensor, then the need for extra crop will be less. @yskunto I actually disagree one of the first things I learned to do was to only use the hardware stabilization. The combo with software stabilization would do some crazy things sometimes. You can always add software stabilization in post. That being said the hardware only IBIS totally blows away optical stabilization IMO. They just need to learn to do it with out the huge crop factor. I also think it is the future. Maybe Olympus should strike a deal with Black Magic IBIS for BM and video processing tech for Olympus. Well, then IBIS plus the extra crop is not an "interstellar" technology. I believe if the other m43 manufacturer want to do a similar stabilized technology, then they can also implement it using Optical Image Stabilizer system plus the extra crop. @yskunto I calculated it to be be about 2.5 X and it is cropped IBIS on or off which was one of the reasons I returned mine. For stabilizing the footage, do EM-5 purely done it only using IBIS or they also add some extra crop to allow digital stabilization as well? I am curious about their technology. If it does need extra crop to have that gorgeous stabilized footage, then what is the actual crop factor in video mode? Function has been modified so that audio can be faded out of movie files created with My Clips editing. Speed at which information is displayed when the camera is turned on has been improved. The issue of noise appearing in images captured while shooting with High Res Shot has been corrected. And the last section. This video was really long. The “D” or display options are largely subjective. However, you can change the Live View Boost option to “No” if you want the LCD and EVF to always display the live view with the exposure you have chosen. You can also set the Frame Rate option to High to reduce frame lag. However, I believe that will also enhance noise in the display when you are in low light situations. It could also decrease battery life which is simply terrible to begin with for this camera. I like to set the Live View Close up option to mode1. That allows you to cancel the live view zoom by half pressing the shutter button. Speaking of the live view close up mode. Let me show you all of the cool things you can do with it. If you set up your buttons like I did then you can press the function 2 button to activate the zoom assist box in stills mode. The box represents what section of the screen you will see if you zoom in. You can hold the “OK” button to re-center the box. Pressing the Function 2 button again will zoom in. The zoom can go from 3x to 14x and this is a true sensor crop so it should be a nearly lossless zoom. Once you have zoomed in you can press the info button to control the shutter speed and aperture for native m4/3s lenses. This is an incredible feature for astro photography because I can use longer shutter durations with a zoomed in live view and align even small deep space objects in near real time. It also allows me to set the focus on my telescope very accurately. The “E” or Exposure options are extremely powerful. If you use Auto ISO a lot like I do then I recommend using these settings. Make sure your “F” or Flash settings are setup with the slowest shutter speed value that you want Auto ISO to use. The camera actually can use a slower shutter speed than this. However, it will go all the way up to your maximum Auto ISO value first before it slows the shutter speed down past the value selected here. Make sure you configure at least one mode to use the Super Fine JPG quality option if you shoot JPGs and you want the lowest compression possible. If you only shoot RAW then this option won’t matter to you at all. The difference between fine and super fine is negligible. However, I use inexpensive 256 GB memory cards so I never worry about filling the cards up. I also recommend setting the “keep Warm Color” option to off if you shoot JPGs. If you turn this setting on then you can get very red pictures under incandescent lighting. I didn’t touch any of the EVF options in the “J” menu. Just make sure you have the EVF Auto Switch turned on if you want it to automatically switch on the EVF when you put your eye up to it. I noticed a lot of dead pixels or stuck pixels when I first got my camera so I did the Pixel Mapping function in the “K” menu right away. That resolved the dead and stuck pixel issues that I was seeing. However, I am not sure if it just turns off those pixels or maps them to an adjacent pixel. You might want to turn the quick sleep mode on in the “K” menu. The single worst thing about the E-M5 MK II is its battery life. Its battery life is simply unacceptable. I bought several extra batteries just so I could use the camera for a full days’ worth of shooting. Turning on quick sleep mode will make the camera enter sleep mode very quickly when you are not in live view. However, it also prevents you from selecting the “Short” Release Lag-Time option. If you want the best battery life possible with this camera then try to shoot without using the LCD as much as you can. That will improve battery life but it also makes shooting with the camera a lot less enjoyable in my opinion. If you have setup your custom buttons the way I have then you can click the Function 3 button to switch to the Super Control panel. A lot of people like the flexibility this screen gives you. It is great that you have access to all of the settings right there with the touch screen. However, I prefer the normal Live Control menu system. It doesn’t fill up the whole screen like the Super Control Panel does and I think it is a cleaner look. This is entirely a matter of preference though. The nice thing is that you can easily switch back and forth with the custom Function 3 button. If you hold the Function 3 button down then it will allow you to switch off the auto eye sensor. Then every time you press the Function 3 button it will turn the LCD monitor on and off instead of displaying the Super Control Panel. I like to use this button in this manner to help preserve battery life. Olympus needs to come up with a better battery for this camera if at all possible. I tried several other brands of batteries that advertise a much higher Mili-amp-hour rating. However, none of them actually improved battery life. Basically this is a really inefficient camera with an undersized battery. Turning off the image stabilization might help but that is the biggest benefit of the camera so I didn’t want to do that. Go ahead and save your settings in one of the P.A.S.M modes now as your Myset2 option. Now all you have to do is select your favorite P.A.S.M mode and change the color profile to what you want to use for stills. Now save your settings as the MySet1 option and load your Myset2 settings to one of the P.A.S.M modes. Then go to the i.Auto function on the control wheel and put the lever to the 1st position. The camera should be perfectly setup to take stills in your favorite P.A.S.M mode if you have followed along with my instructions. If you want to shoot video you just have to simply switch the lever to the 2 position and all of your MySet2 video settings should load up. This one simple trick makes this camera one of the most enjoyable hybrid cameras I have ever encountered. You can setup the Myset3 and Myset4 options to use other P.A.S.M modes or with different button functions. Then if you assign one of those Mysets to the ART mode on the control wheel you can quickly switch between those two settings. I have my full manual settings that I use for my telescope saved in the Myset3 position. That makes using it on the telescope a much more simple process. I hope you enjoyed this video. I will try to do other videos about how to use the wireless functions and how this camera could be improved in the future. If any of the manufactures want me to produce a demonstration video like this for their cameras just send me a private message through youtube. Here is the 2nd half of the narration. This was by far the longest video I have done. There has been a lot of discussion about the long startup time for this camera. It can take as long as 3 seconds before you can take your first picture. I am holding the shutter button down completely and it won’t take the first picture until the display icons appear. However, there is one setting that you can adjust to make it take a picture right away after it first powers up. You need to put it in the single exposure mode and not any of the other burst or delayed shutter modes. It will only let you take one initial picture then you have to wait for the icons to appear but at least you can take one picture right away. With these settings you can now turn the camera off and back on and it will allow you to take a single picture almost instantly. However, this trick doesn’t work in the IAuto mode. You have to be in one of the P.A.S.M modes on the dial for it to allow a quick picture after start up. Now click the menu button and click to the right so we can adjust the Menu 1 items. I would select the card setup option first and format your memory card if it is empty. Formatting the memory card in the camera can help prevent video card write errors in the future. 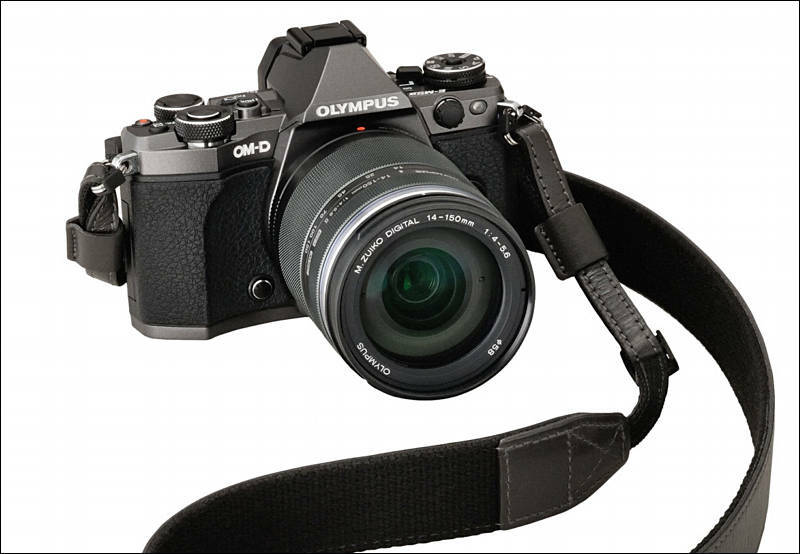 Olympus claims that any class 10 card will work with this camera. However, I had the camera fail a few times with the 60p video mode and a very fast 60 Megabytes per second write speed class 10 memory card. I had forgotten to format that card before I started. If you format a class 10 or better memory card in the camera first then you shouldn’t have any write errors. Next select the Reset-SLASH-Myset option. Then select the Myset1 option and click to the right. Finally select the “SET” option and click “OK”. This will save all of your current settings in the Myset1 position. You will need to do this throughout the video every time we make adjustments. The menu does not make everything entirely clear. If you want additional help to appear on menu items then just click the “Info” button while you are in the menu screen. Extra help text will appear for each item as you highlight it. If you want to turn it off then click the “info” Button again. Next select the picture mode settings and click right to adjust them. 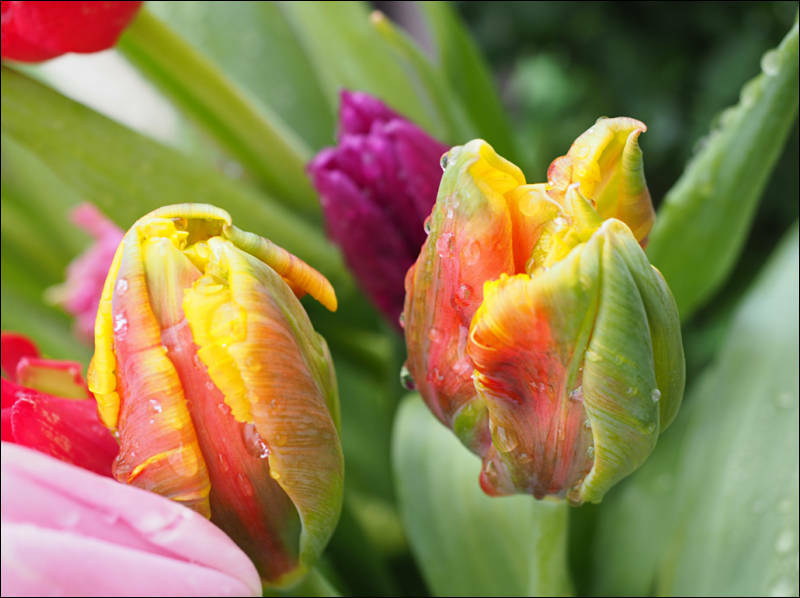 For JPG images I use the I.enhance color mode with the following parameters in order to give me a more impactful look. Everyone’s preference will be different here so just choose the color mode that looks best to you. Shooting RAW will give you the most flexibility. However, there are times when the burst mode and upload speed using the built-in wireless are the highest priorities. In those cases I usually shoot JPG only. The burst buffer fills rather quickly with RAW+JPG so I feel it is best to choose one or the other when shooting burst pictures. You also need to setup the High Resolution shot mode here. By default it will only store a 40 megapixel jpg file and not the 63 megapixel RAW file. There are options out there now to handle the higher resolution RAW file so I would go ahead and setup that mode to shoot both JPGs and RAW images. Select “High Res Shot” and click to the right. Then select a delay so that all vibrations dampen out before the image is taken. I typically use 8 seconds for sturdy tripods. However, I had to go out to 30 seconds with my 800mm telescope and my undersized tracking mount. Now make sure you click OK on the High Res Shot so that it selects it. If you just exit out of the menu it may not actually save the setting. Once you have selected High Res Shot then you can exit out of the menu and make sure that High Res Shot is selected. Next select RAW+Super Fine JPG while it is in High Res Shot mode. Then you can switch to whatever single shot or burst mode that you typically use. Once you save these settings you won’t have to ever go back and turn on RAW+JPG for the High Res Shot mode again. Without saving these settings it would always revert back to JPG only. Don’t forget to periodically save your presets while you are setting up your camera. It is easy to forget to save your settings and we don’t want them to get overwritten by accident. Go ahead and save these settings again as your Myset1 option now. Next I want to switch gears a bit and setup the Movie settings. The movie icon on the control dial is what gives you full control of the movie settings and parameters. However, you can always shoot videos in stills mode by pressing the red movie button. Please note that it will always shoot in Program priority mode with Auto ISO when you shoot video in the stills mode. You also cannot adjust the shutter speed, aperture, ISO value, white balance, or use the program shift functionality while filming like you can with the Panasonic cameras. However, you can change the exposure but you have to do it using the onscreen menu. The camera adds manual control over shutter speed, aperture, and ISO values while filming if you use the movie specific dial mode. However, you still have to click the “ok” button first in order to use the control wheels to change the settings. You can use the menu system to change the setting as well but it is very cumbersome. This makes no sense at all. You should have the option to adjust the shutter speed and Aperture during filming in the same manner that you do while shooting stills. The Image Stabilization can prevent any vibrations from affecting your video while you adjust the dials. Hopefully, they will improve this capability with a firmware update. Panasonic’s cameras have this capability right from the start. If you are accustomed to changing those parameters while filming then this may not be the camera for you. The Olympus manual controls while filming definitely are not up to the standards of Panasonic’s GH line of cameras. However, the camera does an excellent job at controlling the exposure in Auto ISO modes so manual controls while filming may not be as necessary. The E-M5 MK II really isn’t the professional video camera that the Panasonic GH4 and LX100 are. However, the E-M5 MK II definitely is a great choice for handheld run and gun filming. Go ahead and switch to the movie specific mode and then click the menu button. Navigate to the picture mode settings like we did before and this time select the Portrait color mode and configure the settings like this if you want a really flat look to your video that more closely matches the Cinema-D profile in the Panasonic GH4. Now a word of caution here. This really flat profile comes at a cost. All it is doing is pulling the shadows with software. This is not improving the dynamic range at all. That can only be done at the sensor level. The shadow noise will be excessive if you shoot with a super flat profile like this. I do not recommend setting up your color profile in this manner. Instead I think you should just try to match your in camera output as close as you can to your final output. Every time you alter your video in post processing you will increase the noise. Shooting flat and then pulling it again in post processing is a recipe for very noisy video. I shoot with these settings instead of trying for a very flat profile. However, your needs and tastes may vary from mine. You will have to switch to one of the P.A.S.M modes in order to save your settings. Make sure you save these settings as your Myset2 option. Myset2 will always have your movie settings. However, we will see later how to quickly switch back and forth between your Myset1 settings for stills and your Myset2 settings for video. The E-M5 MK II will never give you the video detail that the GH4 can do even if both cameras are shooting 1080p video. However, the E-M5 MK II does have good latitude and contrary to other reports its moiré and aliasing are manageable if you turn sharpness all the way down. If you are looking for ultimate quality then you will need to just stick with the Panasonic GH4 or even the Panasonic LX100. However, if you want to shoot handheld video at long focal lengths then the E-M5 MK II is an excellent choice. The image stabilization on this camera is what really sets it apart. I can easily hand hold the camera at the 35mm equivalent of 200mm. In fact the stabilization even works with the 4x ETC crop mode. With the in-lens stabilization on the GH4 I would have to do software stabilization in post processing to accomplish the same level of stability. So let’s go ahead and setup the stabilization while we are talking about it. Click menu. Then click down to the gears icon and select the “C” option. Next scroll down till you see the Image Stabilizer option. Click right on that option and Turn it to S-IS AUTO for stills and M-IS2 for video. This will let the camera choose the best stabilization mode for stills and it will prevent the camera from using the software based image stabilization for video. The in camera software stabilization does help for stabilizing extremely long telephoto lenses. However, it crops some of the screen out to achieve the stabilization and it has a tendency to produce some unnatural motion. In my opinion the built-in sensor stabilization is so good that the software correction is unnecessary. If you have Panasonic lenses with stabilization built into them like the excellent 35-100mm F2.8 lens then you will need to always make sure the stabilization switch on the lens is turned off. I thoroughly tested the in-lens and in-body stabilization and I never found an instance where the in-lens stabilization was better. Therefore, I think you should always disable the in lens stabilization. There is a menu item that appears to allow you to do that. However, all it does is to allow you to control the image stabilization for lenses that don’t have the switch on the side. If you want to always make sure in-lens stabilization is off then you must make sure that the menu item is turned off and that the switch on the side of the lens is off. Now let’s finish setting up the movie mode. Click menu. Then click down to the gears icon and select the “A” option. Select AF Mode and then I recommend choosing AFC for stills and AFC-Tracking or AFS+Manual for video. I found that the AFC-Tracking works surprisingly well in video as long as you don’t have multiple subjects in the field of view. It can get confused if there are many different objects moving all at once. You can adjust what type of autofocus the camera does by pressing the left arrow button to bring up the Auto Focus grid. Then you can press the info button and cycle through till you see a grid that covers almost all of the screen. This type of autofocus is great if the majority of the screen is filled by the subject or if you are zoomed in really close. If you have multiple objects moving all at once then I would stick with one of the more precise single point auto focus options. If your subject is not moving towards or away from you then the AFS+Manual AF option is the best choice. However, you cannot use the shutter button while filming video to trigger a refocus like you can with the Panasonic cameras. You have to setup a custom button for that purpose instead. There are two options for refocusing using custom buttons. The first option is to use the AE/AF lock function to refocus. You have to adjust the AEL/AFL options so that it will do the refocus with a half press of the shutter button or when the AEL/AFL function is triggered. I typically choose Mode2 for AFS, AFC, and mode3 for MF because I think half pressing the shutter button is more comfortable than using one of the custom buttons. 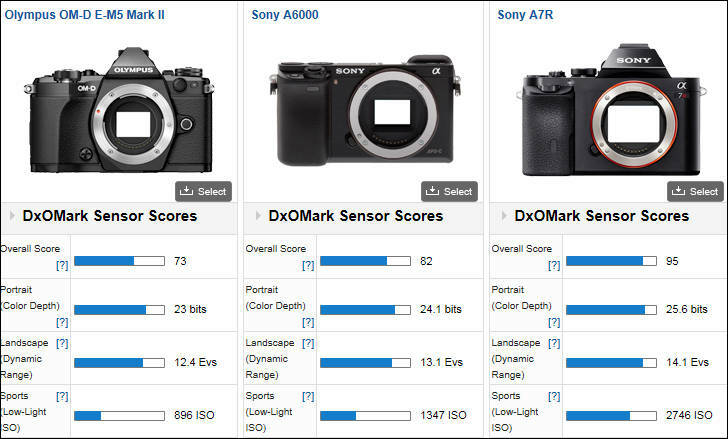 However, if you are more accustomed to using the back button focus that most DSLRs have then you should choose mode3 or mode4 for each of the Auto Focus modes. Please note that no matter what option you choose you will not be able to use a half press of the shutter button for Auto Focus in videos. Your only option for videos is to use a custom button to mimic the back button focus that DSLRs and some other cameras have. Next go back to the AF/MF menu and then configure the settings as you see here and then save this in the Myset2 option. Next go to the option “B” settings and select the Mode Dial Function option. This is where you can actually replace the functionality of the IAuto and the ART settings on the control dial. Both of those modes are utterly useless by default. Replacing them with your Myset options gives you a quick way to always revert back to your favorite settings. I would save your Myset1 option as the IAuto setting and you can save your Myset2 video settings as the ART option or you can save your Myset3 and 4 settings there after we create them later. Now let’s finish setting up our video settings. Pick the “S” or shutter priority mode and make sure the lever is set to position 1. Then load your Myset2 settings. Now click the menu button and go to the “B” Button/Dial/Lever option. Select Button Function and setup your buttons this way or choose your own settings if you know there is a specific feature you want to use that I haven’t selected. I like to set the aperture preview button to act as the multi-function button. That gives me the ability to quickly adjust several settings with one button. If I hold down the button with my finger I can select the parameter I want to adjust with the control wheel on the front of the camera. This is a very flexible option to have. Now save these settings as your Myset2 option. Next change the Lever Function from Mode1 to Mode2. This is what allows you to quickly change from your stills settings to your movie mode settings with one button switch. You can test this out by going to the IAuto setting on the mode dial after you have saved your Myset2 movie settings. Look at what color mode the IAuto setting is using. Now switch the mode dial lever to the other position. It should switch between the color profiles we setup for stills and the one we setup for movies. This functionality allows us to decouple the color profiles that we use for stills from the profiles that we use for video. However, there is a trick to making this work. You have to load your Myset2 video settings to any one of the P.A.S.M modes first. That will automatically assign those settings to the movie mode. If you loaded your Myset1 settings to one of the P.A.S.M modes and then tried to switch into video mode with the lever it wouldn’t be using your correct video settings. If you ever have trouble with this just reload your Myset2 settings into one of the P.A.S.M modes and it will resolve the issue. Now go to the “C” Release options. Select ”Off” for both of the Release options. This will prevent the camera from taking a picture when it detects that it is out of focus. This is a critical setting for getting a high rate of keepers when shooting in burst mode with Continuous Auto Focus. Then verify that your other settings match these and then save them as your Myset2 option. Here is the text from the narration. This video will attempt to show you how to get the most out of the new Olympus E-M5 MK II. It will show you how to setup the camera for photos and videos. This video assumes that you have already made up your mind to buy the E-M5 MK II and you just want to know how to navigate through all of the menus and settings. The best way to use this video is to follow along with your camera in hand and use the youtube pause and rewind buttons if you need to go back and review what I said. If you want to see more videos like this please remember to subscribe to my channel and rate the video. If you have any questions then post them in the comments and I will try to answer them. The first thing I did with the E-M5 is to save my favorite settings using the Myset functionality. This enables me to save up to 4 different groups of settings in the camera. To setup the Myset functionality you need to choose the P.A.S or M mode that you use most often for stills. I typically shoot in the “P” or program priority mode with Auto ISO because I shoot a lot of spur of the moment images and videos. I want to be able to pull the camera out of the bag and instantly start shooting without adjusting anything. Program Priority mode with Auto ISO gives me the flexibility to cover a wide range of lighting and subject movement and still have a fully automated mode. A lot of people like more manual control than Program Priority mode offers so you might want to choose the “M” or full manual mode with Auto ISO. This is a great mode for user control. However, there is no way to vary the exposure compensation in manual mode with Auto ISO. You have to switch to a specific ISO value in order to vary the exposure compensation. Hopefully, Olympus will add the ability to vary the exposure compensation and still float the ISO with a firmware update. In program priority mode I retain the exposure compensation capabilities with Auto ISO and I still can adjust the shutter speed and aperture values with the program shift function. However, I have to go into the Flash menu settings and set a specific value for slowest shutter speed that I want the camera to use. The value you choose for the Flash Slow Limit really depends on what lenses you have and what shutter speeds you use most often. I have the 14mm wide angle lens, the 25mm F1.4 lens, and the very versatile 35-100mm F2.8 lens. When I shoot wide angle I typically want slow shutter speeds because of the excellent image stabilization in this camera. However, I like faster shutter speeds with both the 25mm F1.4 and 35-100mm lenses. The camera will always use 1 over two times the focal length of the lens or the Flash Slow Limit value if it is faster. If you know that you always want to use a faster shutter speed most of the time then set the Flash Slow Limit value to something like 1/125 or faster. However, if you want it to use slower shutter speeds for wide angle lenses and faster values for longer telephoto lenses then just set the Flash Slow Limit to your minimum acceptable shutter speed. With the great image stabilization in this camera I can reliably shoot with the 14mm lens at 1/8 of second. Therefore, I use that value for the Flash Slow limit. The other setting that is important here is the default Auto ISO lower limit value. My first inclination was to just use ISO 200 for this value. However, after testing it I realized that it is much more efficient to use a higher value here. In my opinion the E-M5 MK II still produces excellent images at ISO 800. Therefore, I use that value as the lower Auto ISO limit. What this does is it gives me the ability to adjust the shutter speed faster or slower in lower light situations with the Program Shift function. If you just use ISO 200 for the Auto ISO lower limit then you will lose the ability to make the shutter speed faster with the Program Shift function in some low light situations. I really think that setting up your Program Priority mode with Auto ISO in this manner gives you the most automation and flexibility with all of your lenses. I finally completed my E-M5 MK II Tips and Tricks Review video. Honestly, there were so many features with this camera that it took longer than I expected. However, I believe that waiting to post it also gave me time to really determine what works best with this camera. Please note that you “CAN” actually control the aperture and shutter speed with the control wheels during filming contrary to what I said in the video. However, it requires that you click the "OK" button first and then you still have to use the menu for some adjustments. The manual controls for filming are not as bad as I initially thought. However, they definitely are not intuitive and could still be improved with a firmware update. I still stand by the fact that the GH4 and especially the LX100 are much better for their manual controls. That being said I absolutely love the E-M5 MK II for shooting stills and for run and gun video. The auto focus is perfect for my needs. It just simply works. Also the way I setup the program priority mode in the video has allowed me to spend less time fiddling with settings and more time just getting the pictures and videos that I want. I still think the manual control settings on the LX100 are more efficient but this E-M5 MK II is the next best thing. In addition the LX100 can’t come close to matching the combination of my 14mm F2.5, 25mm F1.4, and 35-100mm F2.8 lenses. I am just glad that I have them all as options for whenever I need them. I will let the video do the talking for me. However, I really feel that the E-M5 MK II can absolutely be used as a pro stills camera. Once you figure out how to set it up it really can keep up with the big boy cameras if you have the right lenses. Hopefully the video will help everyone navigate through the menus. They really are not intuitive. Luckily it has presets so you only have to wade through the menus once. The text from the Narration is below along with some sample pictures.